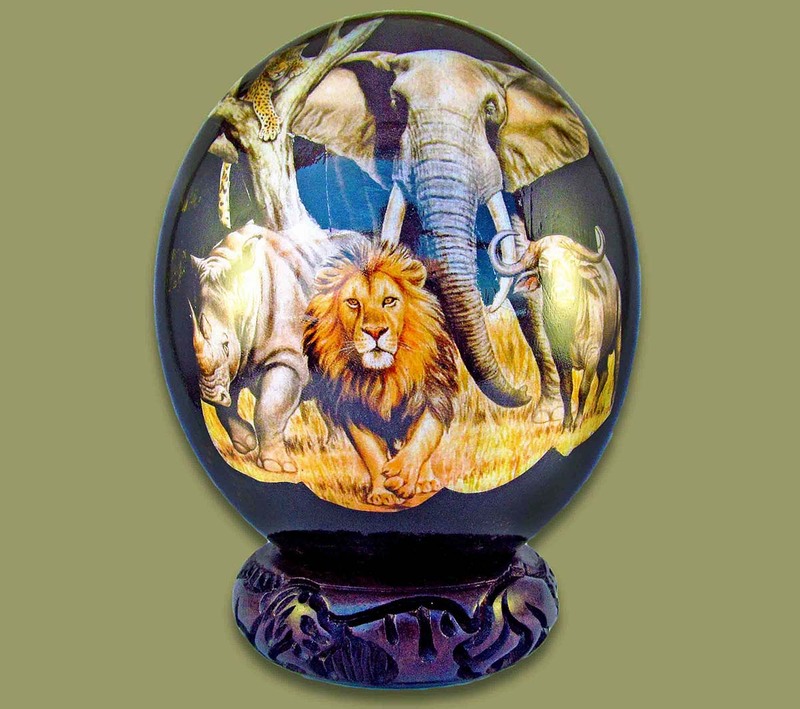 Decoupage Ostrich Egg Black with Big Five image. Supplied in a cardboard box (box size: 15cm x 15cm x 19cm). Does not include the Ostrich Egg Stand - please order the stand separately below.